Dunn may have turned off the charm, but at least he wasn’t kidding around. The next several days were a blur of archived records in more databases than Jo could count. She lost count of the number of trips she made down to the actual physical archives, where decades of backup media waited for the day they were needed. There were even a few painted metal storage units that she hesitantly identified as physical file cabinets, though she’d never seen one outside of the movies or vids. She found her attention continually drawn back to them. She’d always had a sort of casual fascination with the past; that was how she’d gotten into climbing, in fact. As a teen she’d been fascinated by the phenomenon of urbex, or urban exploration. There’d been a group of other kids she’d known who’d been into that, always boasting of their exploits in various abandoned, decaying buildings, subway tunnels, storm drains, you name it. She was sure to this day that they’d been exaggerating, but she’d done a few tentative explorations of her own, including a few close calls that prompted her to learn proper climbing techniques. She’d been given a list of files she needed to study in particular, so she hadn’t given in to her curiosity about the old file cabinets, at least not yet. She had been told to become familiar with the whole system, and she had to assume they were part of the system, so she fully intended to check them out as soon as she had a little spare time. The files she was studying were nothing terribly interesting at first glance. Most of them were fairly standard acquisitions of companies, land, buildings, even utilities. Early on the morning of her third day, she came across a collection of files marked “Experimental” that caught her eye. “What could possibly be experimental at a company like this?” she asked Quinn at lunch that day. They’d gone out to a burger joint a little way down the street to get away from the rush and change their scene. “Oh all kinds of things. New experimental envelope glue, for instance, or experimental methods for improving the coffee.” That last was a touch wistful; they did get free coffee, but it was the wateriest sludge she’d ever tasted. She wouldn’t drink it, herself; she had taken to having her morning cab stop off at the Capital for her morning cup. That kept her going till she could go somewhere at lunch. “We can hope, I guess,” she said agreeably. If you're enjoying this story, you might enjoy Prices, a set of proto-Steampunk tales set in the same world as this story. They're available as a free preview eBook. 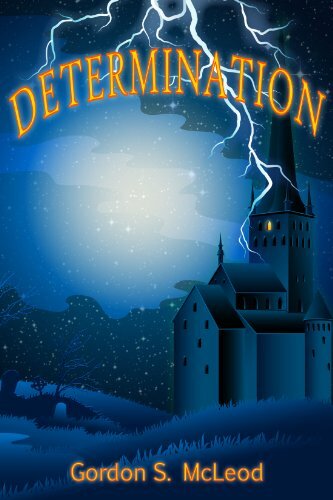 You might also enjoy Determination, which you can buy over at Amazon if you'd like to help support the site. If you can't or don't want to buy it, you're still welcome to read it, on me. Either way, I hope you keep enjoying my work!